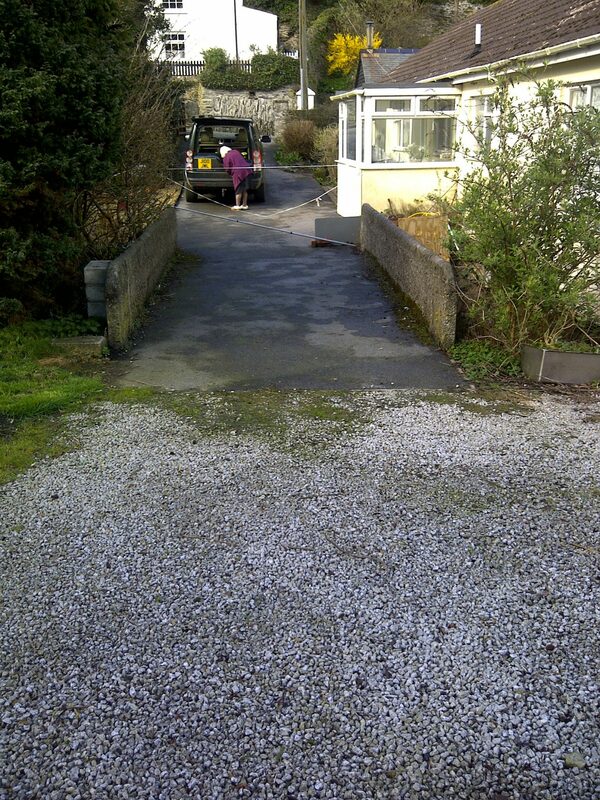 A small vehicle bridge carrying a driveway across a stream was damaged during flooding and deemed unsafe to use. 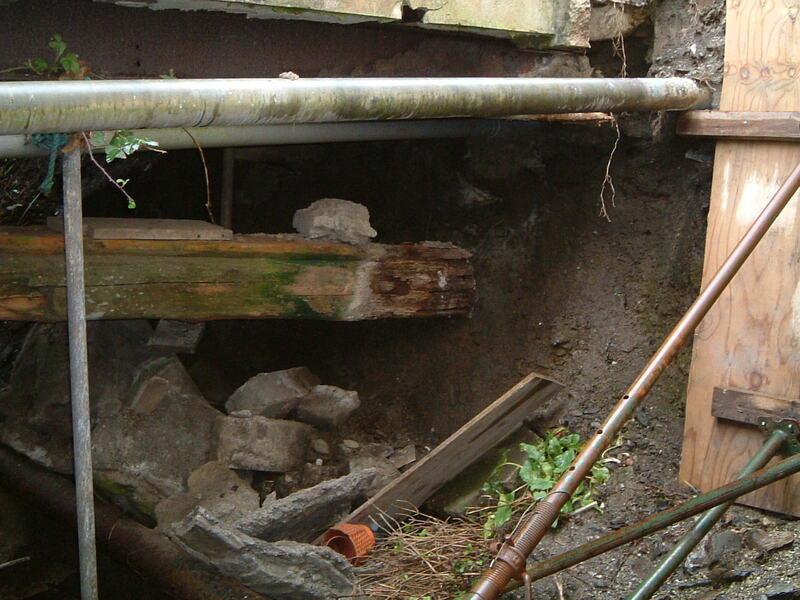 The flooding also caused the stream banks to collapse, threatening the foundations of the house. 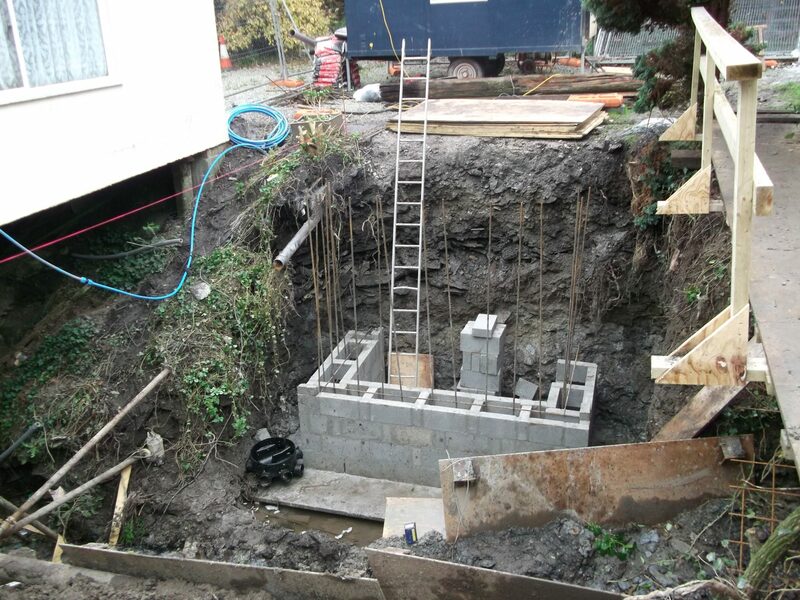 James Lockyer Associates provided initial advice following the collapse to ensure the temporary stability of the bridge and to safeguard the foundations. 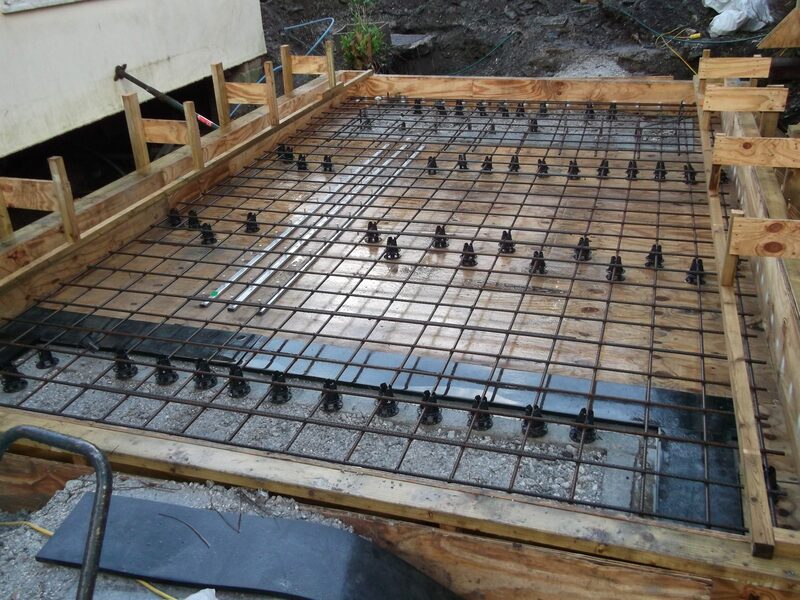 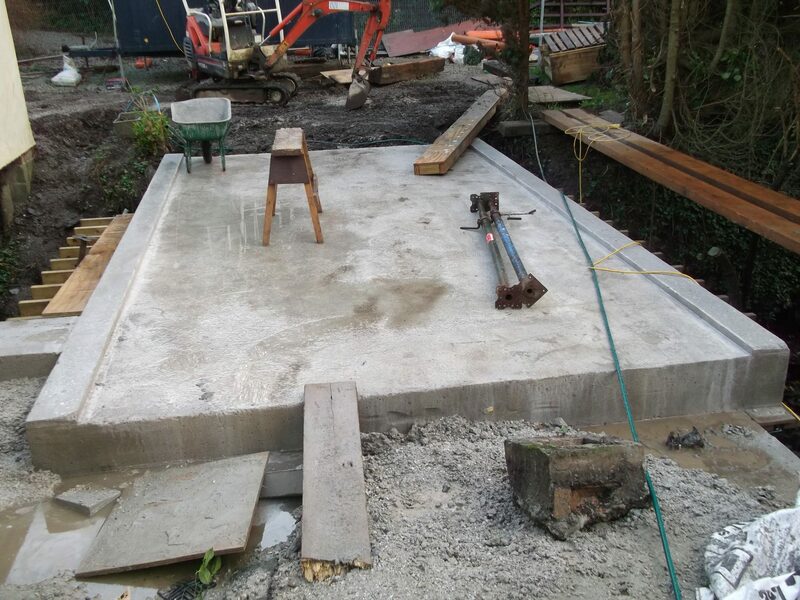 We developed the detailed design to include new stone-faced reinforced blockwork abutments retaining the banks and supporting the new reinforced concrete bridge slab. 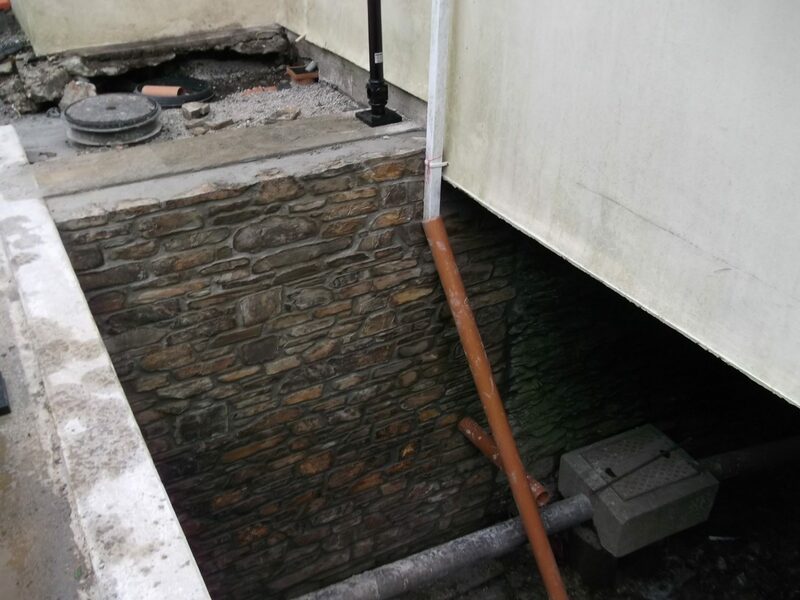 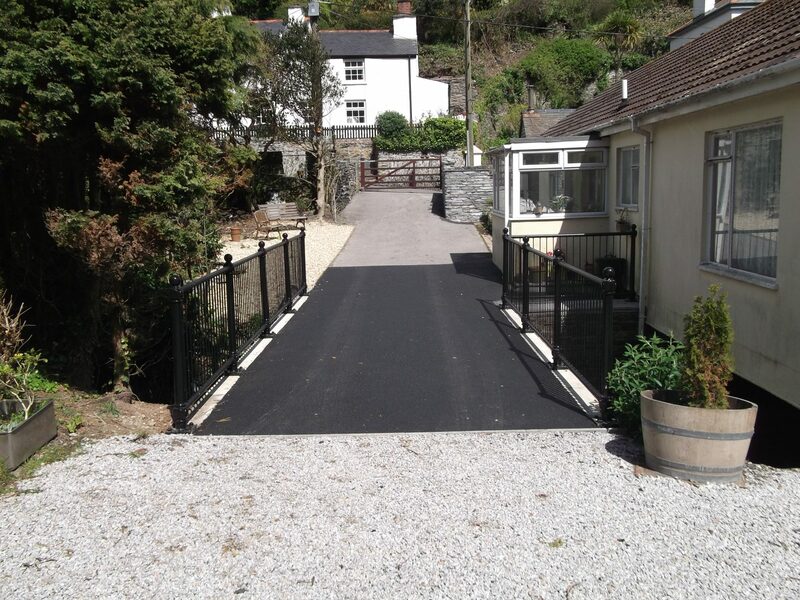 High water levels following heavy rainfall provided a challenge for the contractor working in the watercourse.